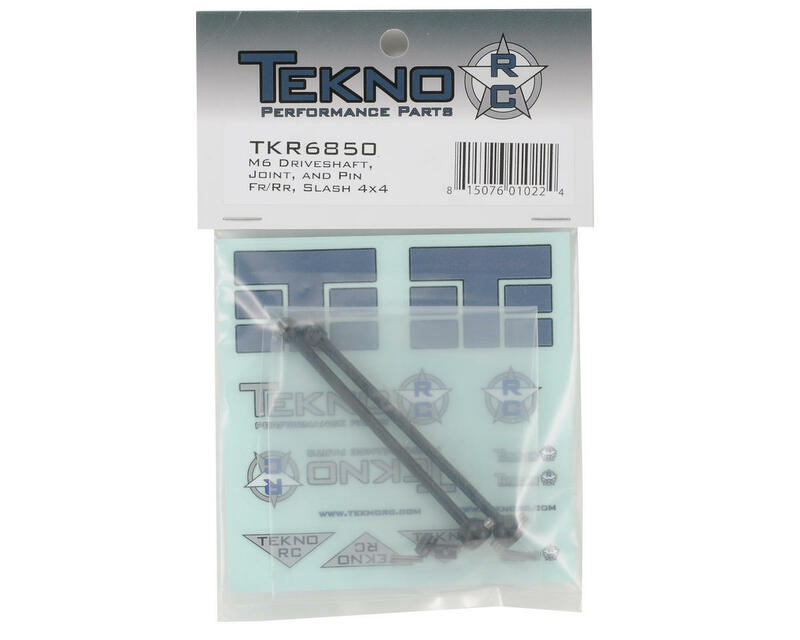 This is a Tekno RC M6 Driveshaft Bone & Coupler Set and is intended for use with the M6 Driveshafts for the Traxxas Slash 4x4. 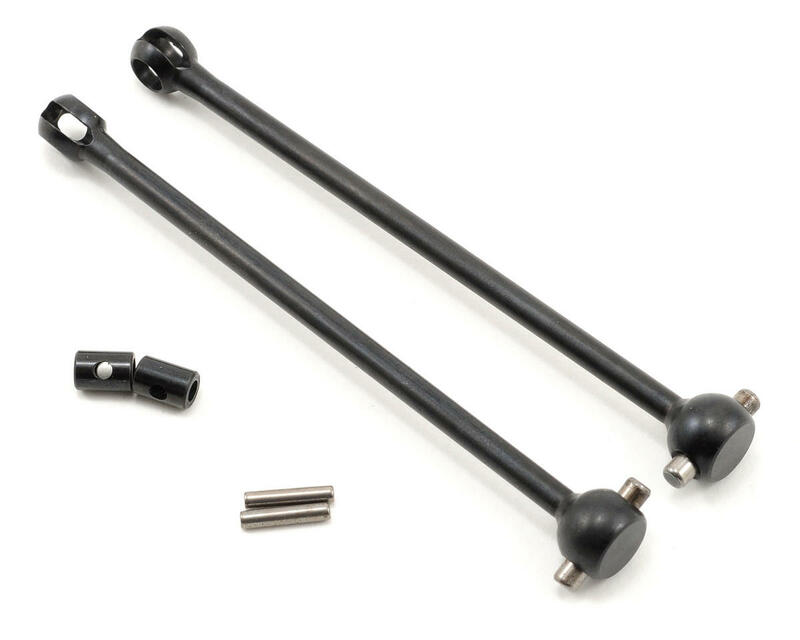 This driveshaft bone set includes the coupler joints and pins, and have been CNC machined from steel, then hardened for durability. These will work with either the front or rear end of your Slash 4x4. NOTE: These must be used in conjunction with the M6 Stub Axles (TKR6853).